While going through my old posts, I came across a post that’s relevant no matter the year. Back in 2014, I went to church on New Year’s Eve and heard a powerful message from my pastor titled 3 Things To Remember And 3 Things To Forget. Forget missed opportunities. You coulda, woulda, shoulda taken advantage of an opportunity but you didn’t for whatever reason. Forget about it. Don’t live with regrets and miss the opportunities that are right in your face. God has more for you in 2018. Forget what people have done to you. This is a hard one depending on what was done and who did it. In Psalm 55:12-14, David says, “If an enemy were insulting me, I could endure it; if a foe were rising against me, I could hide. But it is you, a man like myself, my companion, my close friend, with whom I once enjoyed sweet fellowship.” The depth of David’s hurt came from who hurt him. He could take the hurt if it came from an enemy but the hurt came from his closest friend. As we all know, it’s often those closest to us that hurt us the most. Sometimes, in order to forget, we have to remove ourselves entirely from the situation and the people involved. Do whatever you need to do to forget. God is faithful. Yes, he is. I can tell you in no uncertain terms that God was faithful to the end in 2017 and I know he will outdo himself in 2018. He protects me, provides for me and he gives me a peace that passes all understanding and joy unspeakable joy. I can count on him to deliver on every promise in his word. God loves you more than you could ever imagine. Always remember that God loves you no matter what you have done or what you will do. He is love and he loves you with an everlasting love. The best is yet to come. God is a God of more. He’s got more in store for you in 2018 and beyond. Hold on to his unchanging hand. Well there you have it; 3 things to forget and 3 things to remember in 2018. Before I go, a word to the single lady. Maybe 2017 was a terrible year of living single and bad dating choices for you. Perhaps you chose wrong out of loneliness and your overall tiredness with being single. Maybe you kissed a lot of unworthy frogs or maybe that relationship you thought for sure was it turned out not to be it. Guess what, it happens to the best of us. Forget about what didn’t work, remember the lessons and let those lessons guide you as you meet and greet potential mates in 2018. God has something much better coming. What say you? What else can we forget and remember in 2018? I love the things to remember! Sometimes I know them in my head but forget them in daily life. Grateful for the reminder! Becky Hastings recently posted…What If I Never Lose a Pound? Thank you. With life coming at us so fast these days, I’d say we could all use a reminder of what to forget and what to remember. 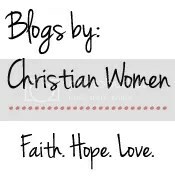 Great blog and sermon. Love forgetting those missed opportunities. We’d drive ourselves crazy if we didn’t forget, wouldn’t we? Great points here! We have to move on! Yes, we do. Moving on. So far 2018 for me has been a year of letting go and moving on. It feels amazing! Excellent things to forget and remember. And, as you said, always relevant. Great points, Yvonne. Holding on to past baggage hurts no one but me. This year I want to forget dashed dreams and remember God’s promises. He is always faithful! So far 2018 for me has been a year of letting go and moving on. Now that I’ve let go of so much, I’m believing God to refill those spaces with his best. He is faithful and I know he will do it. I am sure happy to find this blog.Thanks for the encouragement. I for sure need to forget some things in my past. I love the three things to remember, especially God’s faithfulness.God bless you. God bless you. So glad this blog is a source of encouragement for you. Forgetting what lies behind, we press forward to all that is ahead. Great tips! I can see why you kept it in the archives. So many wonderful reasons to look forward and up!!!! Also, I’d say forget the stress and frustration, the things you wished you could control but couldn’t. Leave them in the able hands of our God and ask Him to take care of it all. Remember that He is able, that nothing is too hard for Him, that nothing takes Him by surprise, and that He’s got it all under control, but that He wants us to bring our requests to Him in prayer. I agree with you. Let’s forget the stress and frustration around the things we simply could not control. Thanks for the reminder to bring our requests to him in prayer. God is able and he never fails. This is definitely still relevant. I love the attention also given to what we should forget. Sometimes we only focus on what to remember, but both are important! Lisa notes recently posted…Is This a Throwaway Prayer? You are absolutely right; both are equally important. Too often we forget the right things and remember the wrong things. Love this. These are important things to live by. God is truly faithful. Also love your advice to single ladies. May we remain strengthened and his divine plans for us.